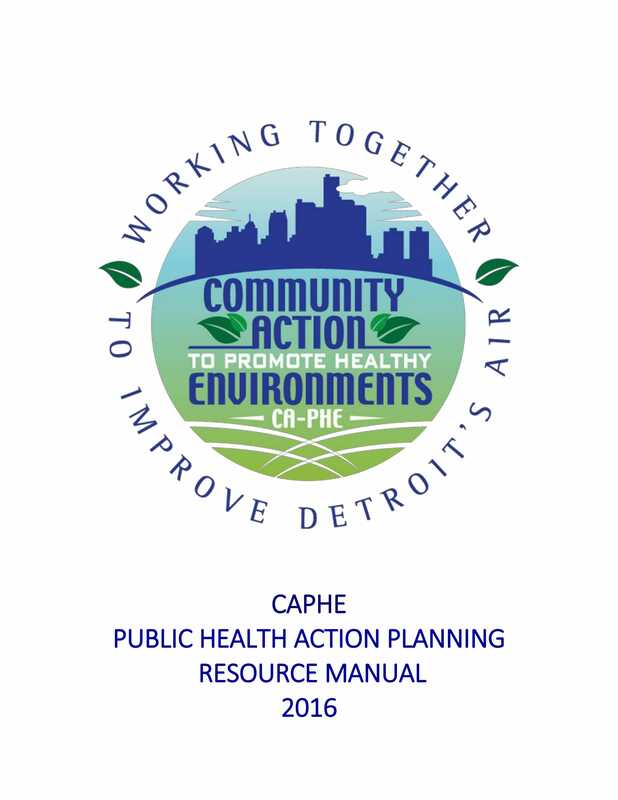 The Public Health Action Planning Resource Manual (PHAP-RM) provides up-to-date information used to inform the development of a public health action plan to reduce air pollution and mitigate adverse health effects in Detroit. It contains a wealth of information regarding air pollution that includes, for example, sources of pollutants, pollution monitoring and regulatory programs, estimates of health impacts and cumulative risks, and, most importantly, strategies that can reduce air pollution exposure and mitigate adverse health effects for Detroit residents. The Executive Summary provides an overview of the complete Resource Manual.